Come join the stars and producers of The CW series STAR-CROSSED for an exclusive screening of an upcoming episode followed by a cast Q & A. The cast will choose one lucky fan from the audience to name a star after! Cast in Attendance Includes Matt Lanter, Aimee Teegarden, Chelsea Gilligan, Titus Makin, Jr.., Jesse Luken, Victoria Platt, Greg Finley, Brina Palencia, Malese Jow, and Executive Producers Adele Lim and Meredith Averill at the Anaheim Convention Center. 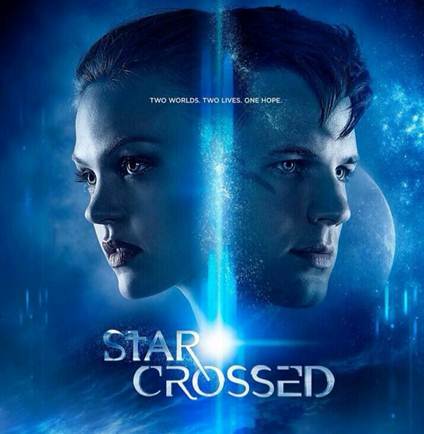 For latest updates STAR-CROSSED on, go to www.facebook.com / Cwstarcrossed and follow @ CWStarCrossed and stars and Producer @ Aimeeteegarden, @ MattLanter, @ XoMalese, @ TitusMakin, @ Greg_Finley, @ BrinaPalencia, @ ChellyGilligan, @ JesseLuken, @ adeleBlim and @ mereschmere on Twitter.